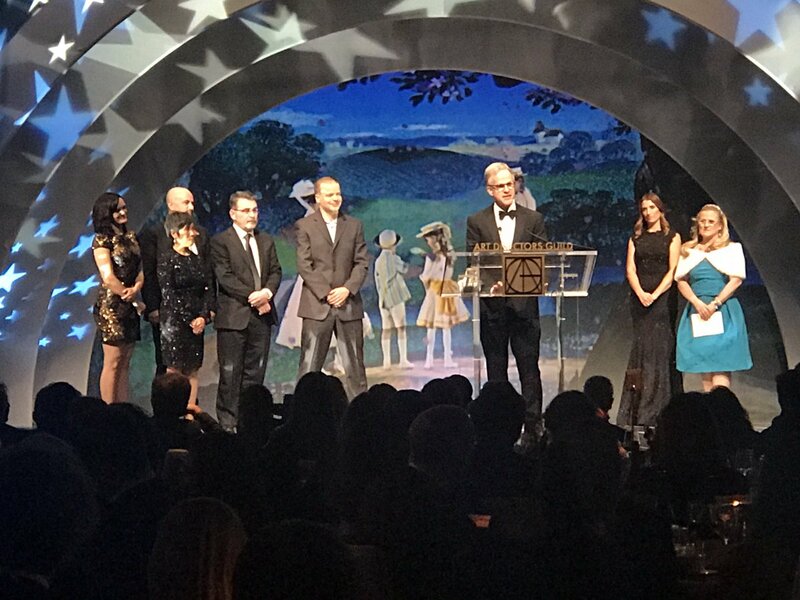 HOLLYWOOD – Coco won the first Animation art direction award, a new category just added to the annual Art Directors Guild Awards. 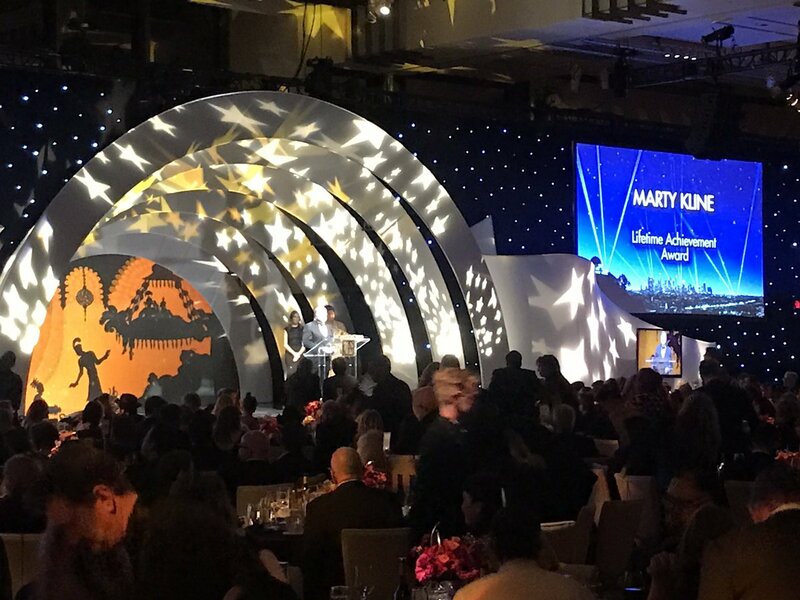 Eleven awards in film and TV were presented at the annual awards, attended by more than 1,000 production designers and industry executives and talent on January 27 at the Dolby Ballroom in Hollywood. 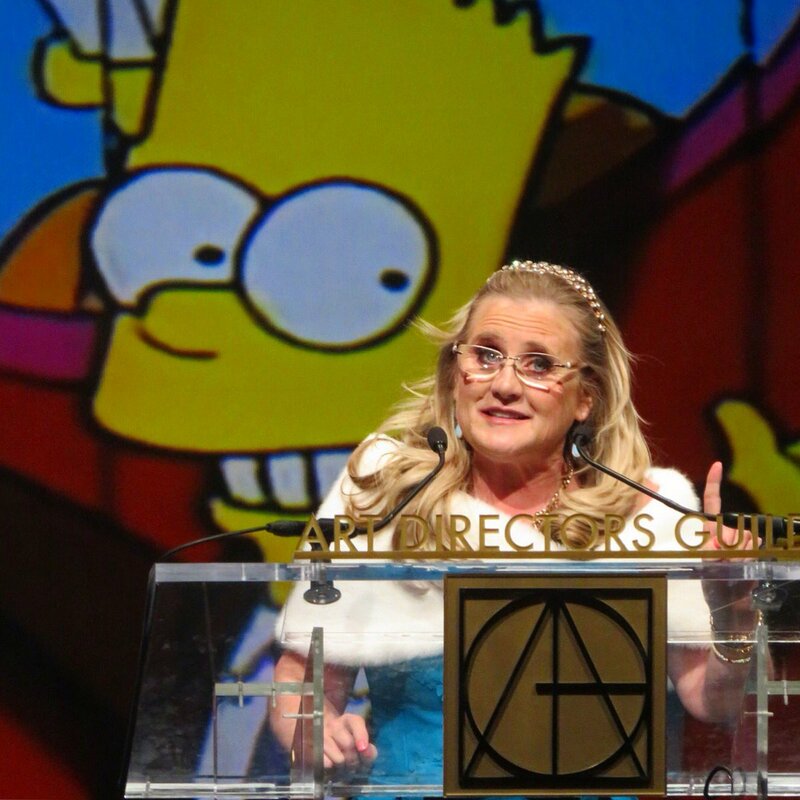 Nancy Cartwright, the voice of Bart Simpson for more than 20 years, presented the award to Coco art director Haley Jessup. As animated films like Coco become increasingly sophisticate visually, the ADG has added this category to recognize their craft. Animated sets have evolved to much more than the looping trees-and-bushes backgrounds of childhood cartoons. The nominees in this first year are rich with detailed backgrounds. Coco features beautifully rendered cities and backgrounds. Other digital nominees include Cars 3 and the Lego Batman Movie. Animation was the theme of this year’s awards, with Animation integrated into the program cover, banners, video clips as the orchestra played, and the “That’s All Folks” Looney Tunes style intro. 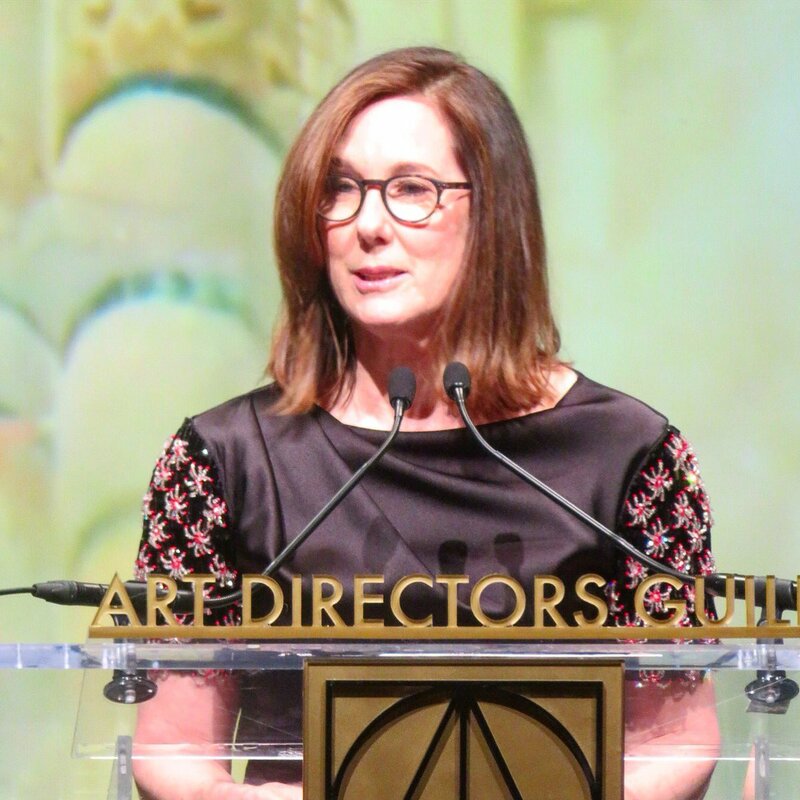 Kathleen Kennedy won the Cinematic Imagery Award, given to the producer who understands and has promoted the power of powerful imagery. Kathleen was introduced as the producer who will do what it takes to help the director and art director’s visual dreams come true. Kathleen produced Star Wars, Indiana Jones and ET. 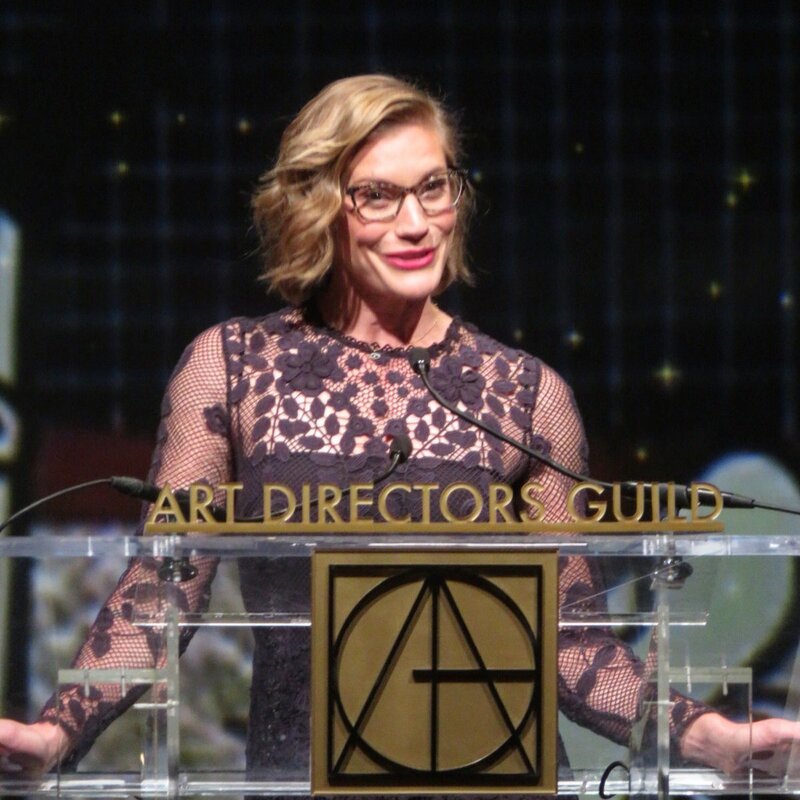 In her acceptance speech, Kennedy encourage art directors to continue to advance their craft. Kathleen Kennedy has said she loved working with Star Wars: The Last Jedi director Rian Johnson so much, that she is hiring him to helm a new Star Wars trilogy. 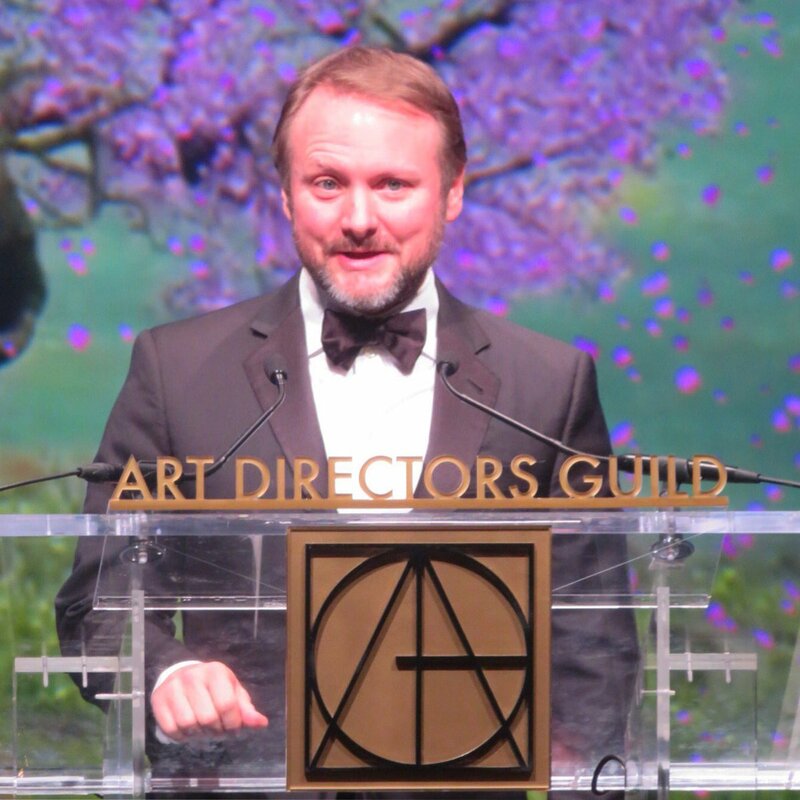 Rian Johnson was a presenter of the final film awards. 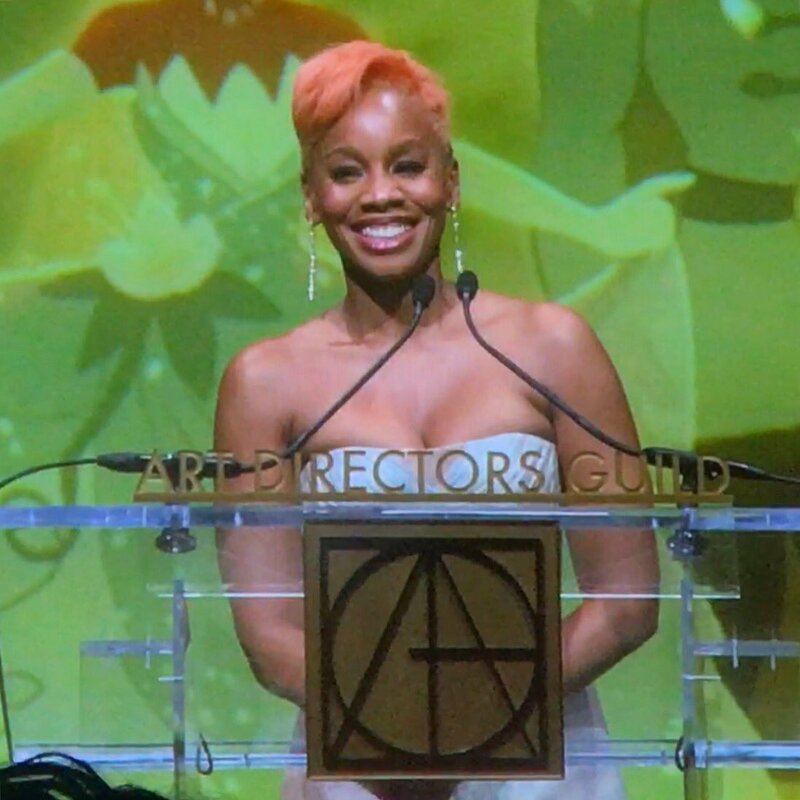 Anika Noni Rose, voice of Tiana in Disney’s Princess and the Frog, sang a medley before presenting the William Cameron Menzies Award to John Musker and Ron Clements, directors on beloved Disney classics including The Little Mermaid, Aladdin, Moana, Princess and the Frog, and Hercules. 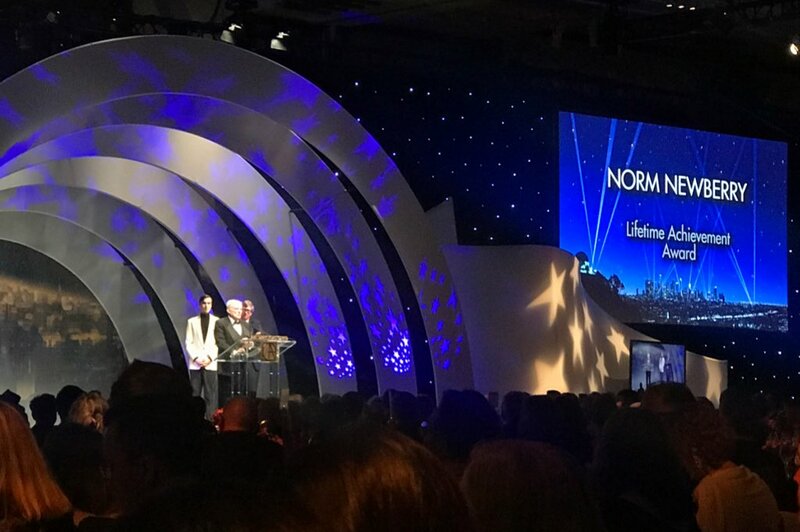 “Thanks to all of you for letting me play in the sandbox,” said Norm Newberry, winning a Lifetime Achievement Award. His credits include Avatar, War of the Worlds, Sting, Jaws, Hindenberg, Polar Express and projects at Universal Studios Hollywood and Japan. Marty Kline, won a Lifetime Achievement Award. He did art design, illustrations and VFX for Jurassic Park, Forrest Gump, Batman Forever, Spider-Man, Men in Black II, Flintstones and dozens more. Katee Sackhoff, who played Starbuck in Battlestar Galactia, presented awards. 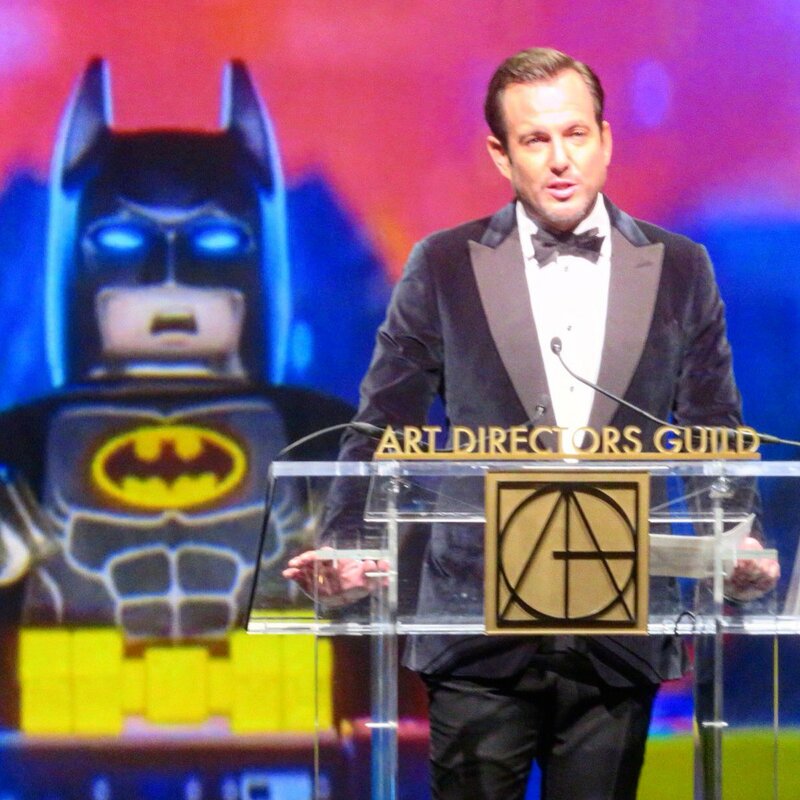 Follow @ACEfilmeditors #ACEeddies on social media.